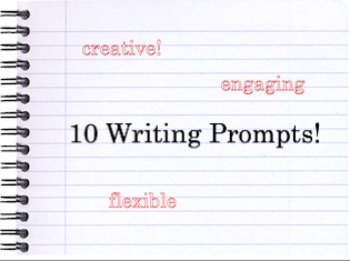 These writing prompts can work for a variety of classes. I use them in my literature, composition, and AP classes to get students writing and thinking. I strive to make prompts that are unique and engaging. I want students to experiment with their writing, think critically, explore valuable resources, and push their imaginations and intellects. These are designed to function as informal writing assignments done during class OR as prompts to guide formal assessments. Use them in whatever way fits your classroom. These 10 resources are free, but if you like them, check out my 50 Writing Prompts and my Descriptive and Narrative Writing Unit Plan!